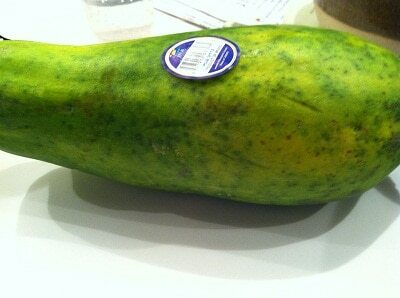 Juicing is all the rage now! If you haven’t heard of juicing, chances are you have been living under a rock (just kidding – I hate when people say that) or you just haven’t really noticed the hype. Juicing is pretty much as it sounds – turning fruits and vegetables into juice! And, what better way to do it than juicing with my Ninja! One of my goals for the Housewives of Frederick County blog is to put together a post on the specifics of what juicing is, what the difference is between juicing while keeping the pulp/skin and juicing while removing the pulp/skin, what the difference is in juicing and making smoothies, various recipes, the benefits of specific fruits and vegetables, the different types of machines you can use, etc. I would like to make this post very informative, so stay tuned for that one. 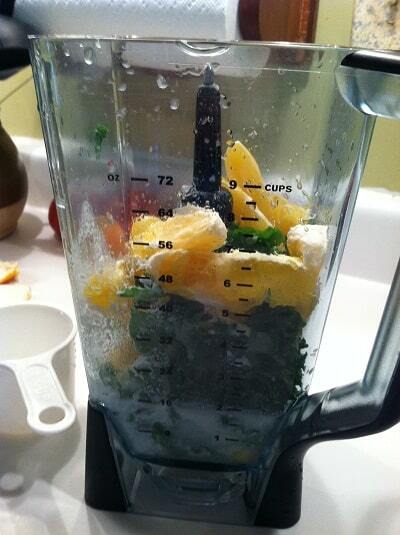 With this current post, I simply would like to share my first step into the world of juicing! I “like” various Facebook pages that highlight juicing and juicing recipes (Nutribullet, Juicing Vegetables, Vita-Mix Recipes, Ninja Kitchen) – I’m sure there a ton out there, and I plan on finding some more really good ones! So, I get reminded every time I browse my Facebook newsfeed of the benefits of juicing, and great looking juicing recipes! Yesterday, I decided to take the plunge and make my first official juice! I looked through my Facebook juicing pages, and then I turned to Pinterest. I typed in the search bar of Pinterest “juicing”. As you have probably guessed, there are many recipes for juices on Pinterest! 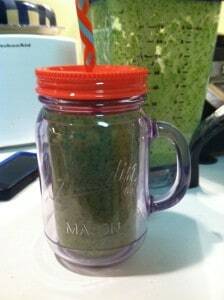 I knew I didn’t want it to be too full of vegetables for my first one, but I also wanted to go out of my comfort zone and include vegetables in it in order to “train” myself to start enjoying these really healthy concoctions! 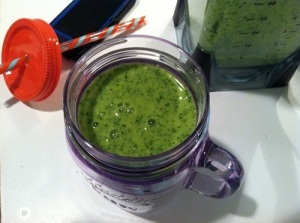 I happened upon a recipe that caught my eye – it’s called Tropical Green Smoothie. Anything with the word ‘tropical’ in it is appealing to me! Now, you will notice that this recipe is called a smoothie. So, not only does it contain fruits and veggies, but you also add some coconut milk to it, which gives it more of a smoothie consistency. 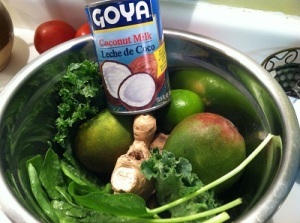 I found the Tropical Green Smoothie on a website called The Juice Lady. 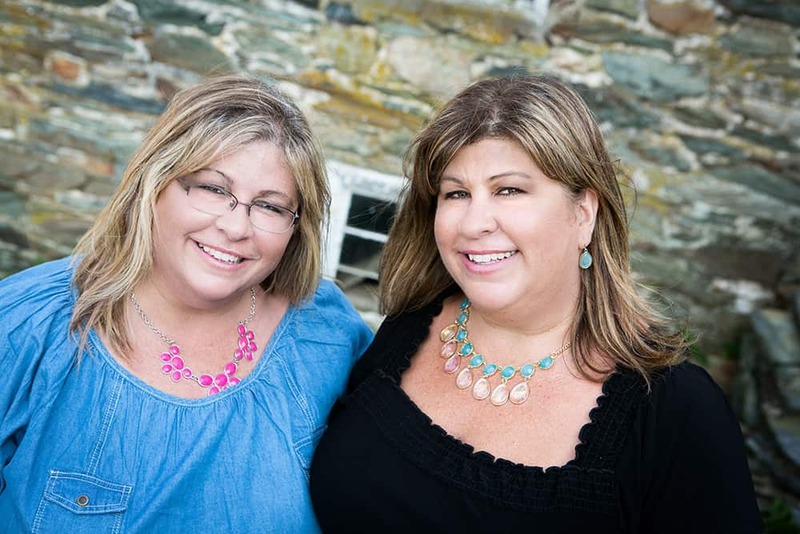 She has a section on her site called Cherie’s Juice Bar and Cafe – it really is cute, and inviting! So, I printed out the recipe, called the hubby and gave him the honey-do-grocery list, and got ready to venture out of the box! 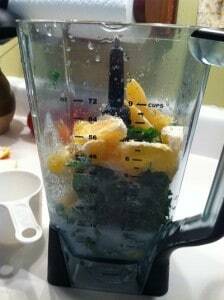 I had to substitute the papaya for an orange, because the papaya wasn’t ripe – keep that in mind if you’re buying fruits/veggies the same day you will be juicing them! Basically, you just throw it all together and blend. I have 2 machines to choose from – my Ninja and a Magic Bullet (not to be confused with the newer Nutribullet which I am really curious about). I chose my Ninja to blend the ingredients in. 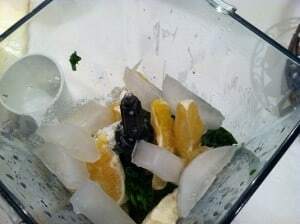 The Ninja definitely “puts a hurtin'” on the ingredients and really blends them well, however I still had tiny chunks throughout the smoothie and flecks of either kale or spinach, or both throughout. My verdict? It was good! Even with the ginger in it – I have always said that I hate ginger because it smells/tastes like perfume, but it was actually a great addition to this smoothie! Honestly, I was a little nervous to drink it all because I didn’t want to put my body in a state of shock from all of the healthy ingredients that it’s not so used to digesting! My stomach did well until I went to bed that night (I drank the smoothie a few hours before I went to bed), and then there was some churning going on – but not as bad as I thought! I’m ready to try another juice/smoothie! I will definitely be doing some pinning of recipes on Pinterest so I have an “arsenal” of go-to concoctions that I can create! I’m excited to continue my journey with juicing, and hopefully improving my overall health  Please feel free to comment with ideas, suggestions or questions!